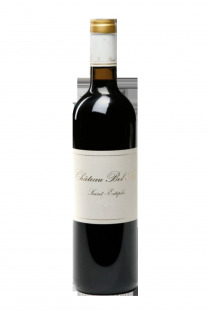 Products of the domain : Château Bel Air. Château Bel-Air is spread over 30 hectares in one piece and is located in the heart of the Lussac Saint-Émilion Appellation, but in 2004 the estate expanded with the acquisition of 6 hectares of vines on Petit-Palais And Cornemps, bordering communes, located in the Bordeaux appellation. The vines bloom on a clayey plateau with quiet silent areas; The subsoil is clayey. They are aged 35 years on average and are made up of three varieties: 70% Merlot , 15% Cabernet Franc and 15% Cabernet Sauvignon. The cuvées are the subject of a severe selection, the less beautiful grapes being sold in bulk. The winemaking of these Bordeaux wines is conducted by the same team as the Gloria and Saint-Pierre châteaux, which is clearly a guarantee of high quality and the breeding goes through 12 months in barrels. Cru Bourgeois has been classified as " Cru Bourgeois " since 2003 and the annual production is about 200,000 bottles. Saint-Estèphe - 2008 - Château Bel Air.